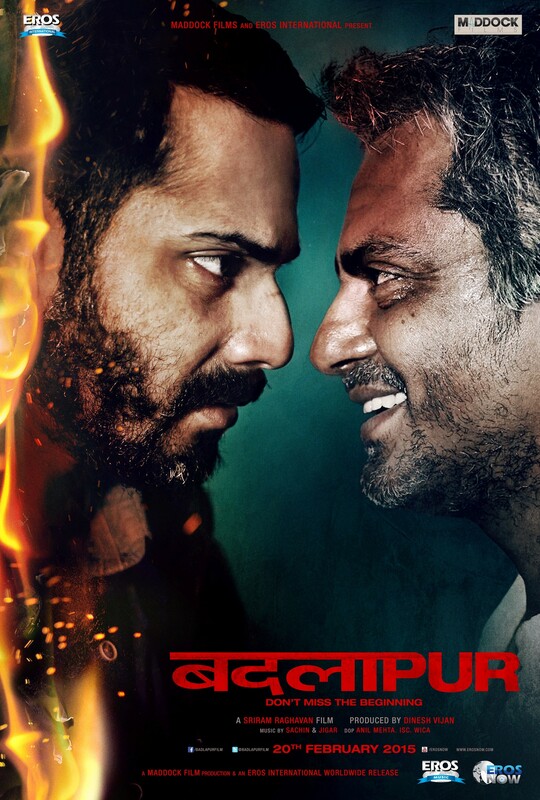 Badlapur will stand tall in this year’s Hindi filmography for it goes miles beyond being simply a revenge film. It is also a layered character study and narrative which successfully blurs the lines between good and evil in a way we have rarely seen before—by drawing parallels between the two instead of humanizing or dehumanizing either. In 2004, Sriram Raghavan gifted mainstream Hindi cinema it’s first femme noir revenge thriller in ‘Ek Hasina Thi’. Since then, however, his attempts on celluloid have left much to be desired. ‘Johnny Gaddar’ mere skimmed the tip of the iceberg in what could have been an incredible heist film, and the less said about ‘Agent Vinod’ the better. Fortunately, Badlapur is nothing short of a lesson in the subversive art of revenge narratives. In many twisted ways, the film is a coming of age story. Layak grows from being a cold-blooded killer to one mature enough to gift retribution to his worst enemy, and Raghu’s journey is one of letting go—first of the shadows of his dead family, and then the rage that slowly turned him into a mad man over fifteen years. The best element a writer can add to his characters is a sense of them being fully fleshed out human beings even outside of what we see of them on the screen; Screenwriter Arijit Biswas and Raghavan himself achieve this with aplomb. It is commendable how even minor characters like Jhimli’s rich benefactor never comes across as a caricature. Director Sriram Raghvan has drawn rich and nuanced performances from his cast, and not the least of all from his hitherto stereotyped leading man Varun Dhawan. This truly is a landmark film for the young lad who has shown acting chops from his very first moment on the big screen but was perhaps never offered a role he could really sink his teeth into. And with Raghu, he does just that. Varun has outdone himself as a complex man who has become so used to holding frustration and rage right under the surface of his skin that he does not know how to get rid of it even when he gets his revenge. The leading man really does carry the film on his meaty shoulders—and that is something to say in a film full of seasoned performers like Divya Dutta, Vinay Pathak, and Radhika Apte. Speaking of performers, there is one man who is making a habit of stealing the show in every film he is in. 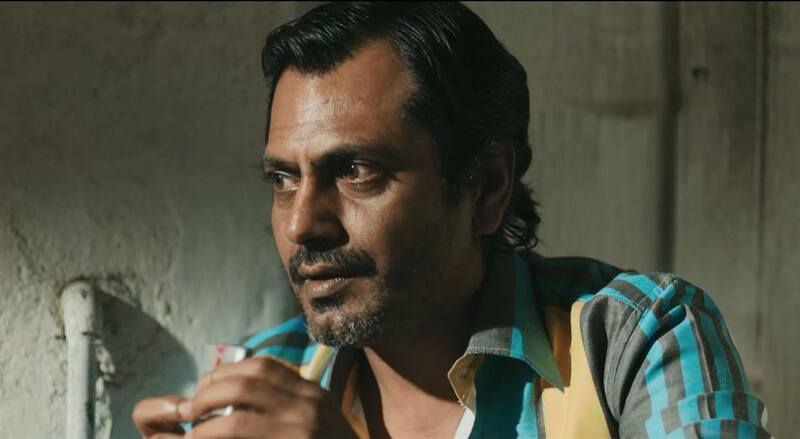 What can be said about Nawazuddin Siddiqui’s brilliance that hasn’t already been said before? His Layak is notorious yet naïve, and wily yet vulnerable. The man breathes life into every moment he gets on screen. He is one of those rare actors in the league of Bachchan and De Niro who can elevate what is on paper to level beyond even the maker’s expectations. Along with the director, ace cinematographer Anil Mehta has fashioned gritty frames and a rugged feel to the film without being too obvious about it. In fact, the film is beautifully crafted from all quarters—music, sound design, and production design—all elements of film craft remain true to the script and director’s vision resulting in a truly mature piece. In the midst of all the beautiful craftsmanship, a word must be put in for Pooja Surthi’s superb editing and the music by Sachin-Jigar. Some say films are made on the editing table—this one certainly was. It not only keeps the pacing and momentum of the film intact, but in fact subliminally lends the film much of its gritty tone. Certain transitions done through smooth cuts, such as the one where Raghu takes a sip of coffee at home and we match cut to Harman’s restaurant when he puts the cup down, makes one sit up and take notice of this otherwise invisible art form. The music treads a thin line between being right for the film and also crowd pleasing, and it stays on the right side of the line for the most part. ‘Na seekha maine jeena’ and ‘Aj mera ji karta marjaniya’ are two pieces that not only serve as perfect garnishing for the film but are also bound to live on in the hearts of fans for a long time to come. Credits must go here to the makers of the film for not resorting to typical ‘commercial’ tactics such as item songs and marketing strategies that misrepresent the film. The team behind Badlapur has stayed true to the maker’s vision right through to the release and that should bode well in the eyes of a Hindi film audience which is growing an appetite for content driven entertainment in recent times. Badlapur is not perfect. The film lags in its last forty-five minutes as the screenplay is unable to maintain the same momentum and chutzpah as the first hour and a half. Worse, the climax is a disappointment and leaves one with the feeling of a half-baked dessert after a sumptuous meal. Nonetheless, Badlapur will stand tall in this year’s Hindi filmography for it goes miles beyond being simply a revenge film. It is also a layered character study and narrative which successfully blurs the lines between good and evil in a way we have rarely seen before—by drawing parallels between the two instead of humanizing or dehumanizing either. Badlapur is not suitable for children, and neither is it suitable for those to like their cinema flossy, fluffy, and fake, but for the rest of us movie fans, it would be a cardinal sin to let it pass without a watch.